Pointos is a great option for creating a professional website dedicated consulting services. This theme has a minimalistic design, which will help you to highlight the main strong features of your company. You will be able to show the list of services, team members, statistics data and much more using Pointos SEO Consulting theme. Moreover, you will customize your website according to your needs and taste thanks to a strong functionality of this theme. 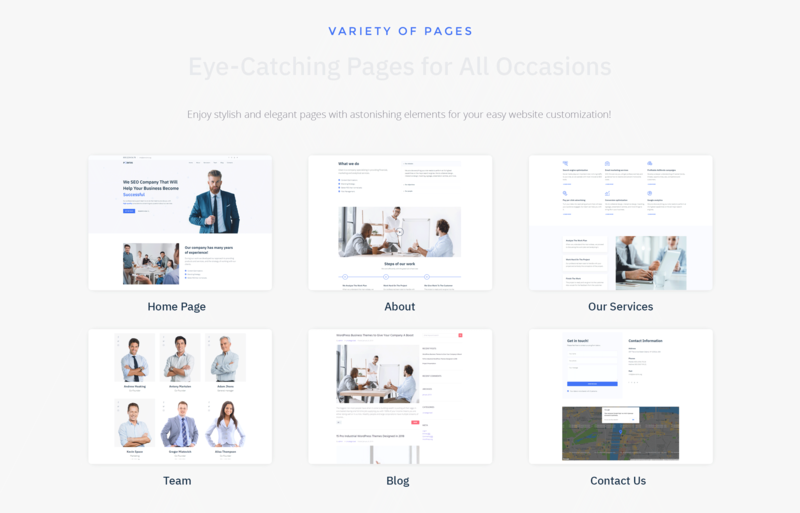 There is a perfect Jet plugins bundle for Elementor page builder. JetElements plugin will provide you with varied widgets, which will be useful by enriching the content with stylish elements. With JetTabs plugin you will organize your content in a compact way using convenient tabs and accordion blocks. JetThemeCore plugin will allow inserting pre-designed sections on an appropriate topic via Magic button option in a few clicks. Using JetBlocks plugin you will expand the functionality of headers and footers on the pages. Pointos theme has an intuitive interface and great responsiveness on any devices. 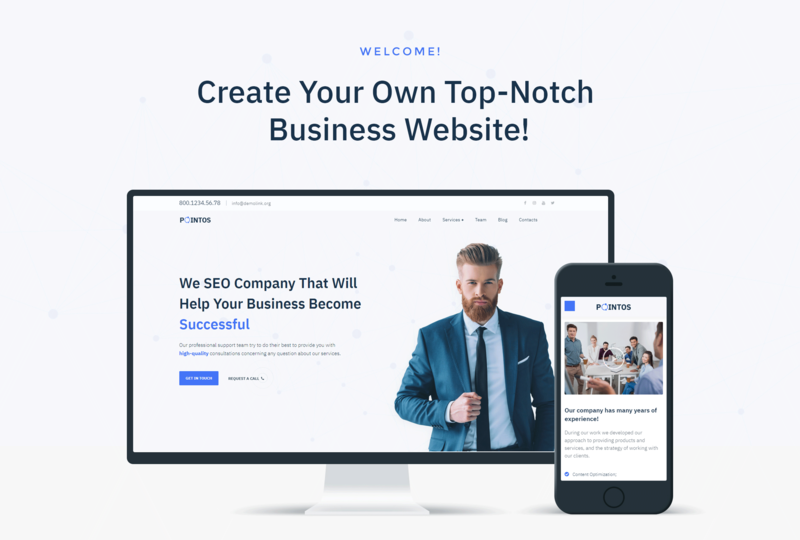 Boost your company and attract more clients with Pointos theme.